The Power Station at Opuha Dam is currently out of service on an extended maintenance outage after tests on the main transformer revealed high moisture levels. 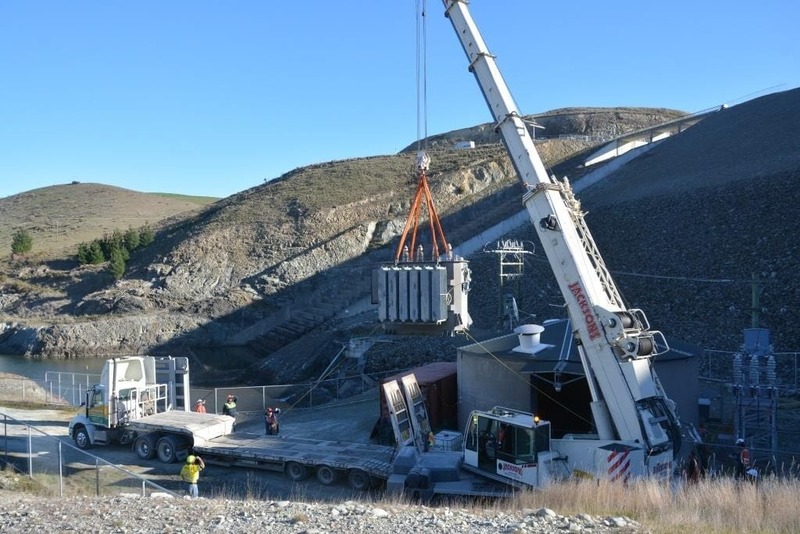 The transformer has been removed from the site (see photo) to undergo repair and refurbishment at Trustpower’s Highbank Power Station near Methven. It is anticipated the transformer work will be completed in approximately four weeks.